She’d grown up on a dairy farm; her grandparents operated the berry farm on the neighbouring street. She’d wanted a different life and to make her point, she avoided visiting her in-laws for the longest time. Yet somehow, she knew her husband Derek would talk her into it – and he did. The Scott’s moved to Oldfield Orchard with their three young sons in 1986. Today I’m sitting with Debbie on her patio, chatting about her life on the farm. “The beginning was a real struggle,” she says. The orchard they bought was slowly dying from anthracnose canker; they had no choice but to immediately begin the arduous job of protecting the trees as long as they could and diversifying their product line. Derek kept his regular job for the first five years to help make ends meet and spent all his off hours working on the farm. 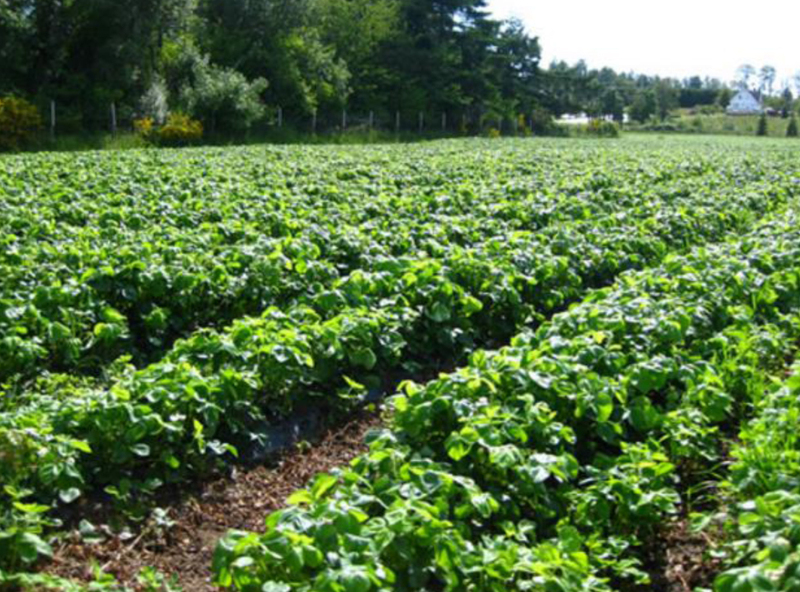 Gradually the rolling landscape transformed from an orchard into a food-safe berry farm. Debbie moved from selling apples in their garage to selling a cornucopia of fruits and vegetables from June to October in a standalone building along Oldfield Road. She personally trained her staff on how to sort all the produce brought in from the fields, one berry at a time. Her motto was simple: if it isn’t A+, don’t put it out. She knew her customers wouldn’t come back if the quality wasn’t there. Eventually she expanded to include baked goods using recipes handed down to her by her mother, grandmother and great-grandmother. Fruit pies were baked twice a day and all sold by sunset. 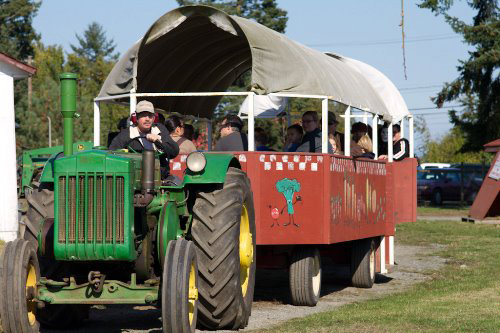 The summer after moving to Oldfield Orchard, Debbie and Derek hosted a ‘Taste of the Islands’ event where farmers from all over Southern Vancouver Island and adjoining islands came to Oldfield Orchard. They set up booths among their apple trees, handed out samples and sold their goods. The Scott’s provided the amenities and a concession stand. They did this for three years, but found it taxing to organize, particularly as summers were also their busiest season. In October of 1990 they simply opened up access to their fields and allowed people to come and pick their own pumpkins. This was long before ‘U-Pick’ became popular. They set up a little stand where they sold hot and cold hard-pressed apple juice. “So many people came out for it and so next year we expanded it,” Debbie recalls. That was the start of the annual ‘Oldfield Orchard Octoberfest’, which continued to run for over 20 years. The Boy Scouts cut the corn maze and manned it. The 4H Clubs took over their barn with animals and various displays. The Sea Cadets set up and operated the haunted house. Saanich Historical Artifacts brought old vehicles and equipment to showcase around the place. They had hay rides and games for the kids and of course, there were always plenty of pumpkins for the picking and loads of fresh fruits and vegetables alongside homemade pies and jams for sale. “So it wasn’t just us, it was a community effort to put it together.” It took hundreds of people to run and oodles of visitors to make it a success. And each year, the Scott’s donated a large portion of the proceeds from this event to local charitable organizations. Derek helped each of the kids open their own bank account, a first for some of them. They were all up at dawn, seven days a week and after a full day of working outdoors, they crashed early, exhausted from their day. On Sunday’s the girls left the fields ahead of time so they could help Debbie prepare a ‘family’ dinner while the boys did all the clean-up. And after the word had gotten out about what they were doing, various meat markets and fishermen donated their produce for the Sunday meal. Every payday the whole group would go out to dinner somewhere. “It was, I think, my funnest year we ever had,” smiles Debbie. One of the boys stayed to work on the farm for four years. Three of the kids ended up off the streets permanently. Others were off for long periods of time, some even returned to their homes for a spell but in the absence of continued support, unfortunately they were drawn back to the streets. Regardless of the outcome, Debbie and Derek had made a difference in the lives of each and every one of those kids. After thirty-one years of farming, the Scott’s are ready to retire, having sold their farm in the process. Debbie doesn’t know what her next chapter will hold. Perhaps it will include more golfing, something she and Derek do daily during their annual winter escape to sunny Arizona. She’ll have more time to spoil her grandchildren. She has five and another one on its way. I feel however, that whatever Debbie’s next adventure will be, it will be vibrant and full of fun because that is the type of energy that radiates from her. 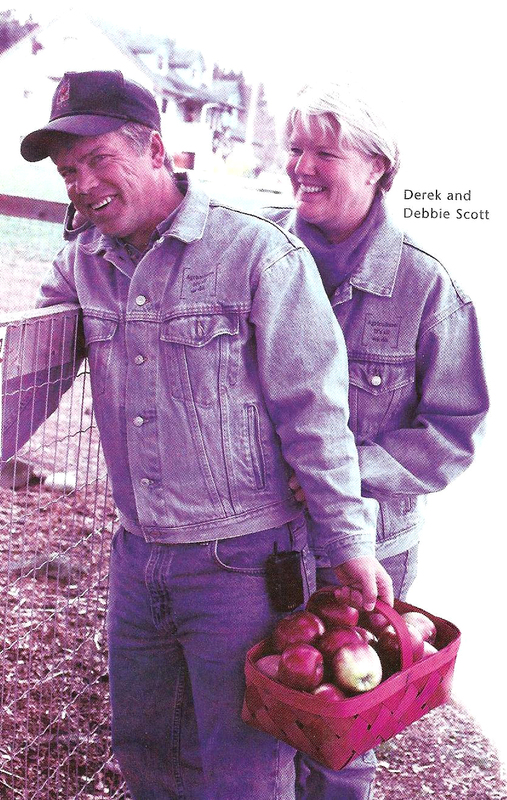 When I first approached Debbie about meeting with me to talk about her years at Oldfield Orchard, she very characteristically said, “But we won’t talk about anything negative, right?” “Absolutely,” I replied. Thank you, Debbie, for your time and for sharing your stories with me. Wonderfully written local profile! I love stories about farm families such as this. How could you talk anything negative in such a setting? Thanks Charli! I had so much fun doing the interview and then developing the story from all that Debbie shared with me. Debbie herself was such a positive person and a delight to talk with. I’m hoping to do some more of these stories in the future. Often regional magazines look for those special writers who can express the heart of an area and its people. Keep that in mind if you ever want to pitch ideas to some of those magazines to write features. In the meantime, have fun! I love writing (and reading) profiles on those involved in community food systems. Such great stories out there, and you are a great teller of those stories! I just came across this story as I was making a list of some places to recommend our friends to visit while stopping through Victoria. This is a very lovely story about a lovely couple and I’m so glad that I saw it, but I just want to add….my family lived in Brentwood Bay from Sept 2001-June 2004. We loved our life there – beautiful land and beautiful people! However, we were “southern Americans” and eventually had to return home. We have such fond memories attending Octoberfest with our then young children. That was always a highlight of the holiday season for us. 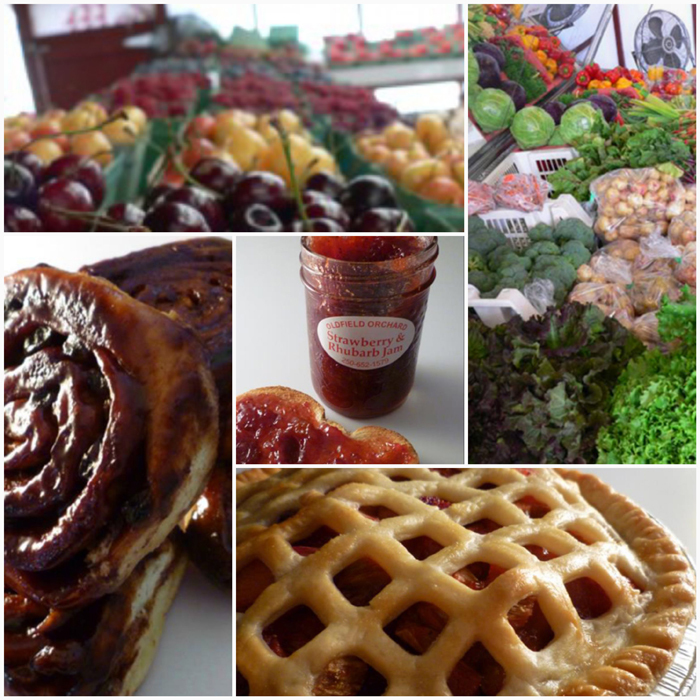 I also shopped at the bakery for jams and pies. YUMMY!! It may not mean much but I wanted to say that after all these years Oldfield Orchard is still fresh in my memory and was right up there for my recommendations for our friends to visit along with Butchart!!! So sad they won’t get to experience this. So thankful that we have those wonderful memories. I never knew all of what I read about this family but it does not surprise me at all. Anyone that can run a business that exudes such love and attention would certainly be nothing less than extraordinary. Wishing them the very best years to come!! Thank you for taking the time to leave this heart-warming comment! I am grateful! I just emailed it to the Scotts so they could read it as well and receive your best wishes. What a lovely story about a beautiful couple.